Kingdom Hearts 3D Coming To Europe July 27? It appears Square Enix accidentally announced the game's release date. 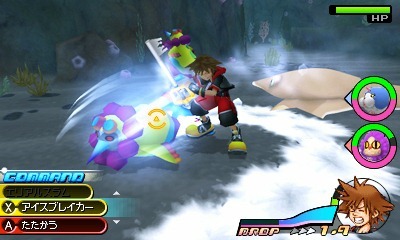 We already know Kingdom Hearts 3D: Dream Drop Distance debuts in Japan March 29, but what about the U.S. and Europe? When can the rest of the world expect to befriend Dream Eaters and swing keyblades? At least that's the date Square Enix France put on its website over the weekend before mysteriously taking it down. Now the game's slated to arrive Summer 2012. For all we know, this was one big misunderstanding, or perhaps someone made a huge mistake. Either way, we'll find out when this highly anticipated game will appear in the west...eventually.